Once Khalil Gibran uttered the superb words that “Beauty is eternity gazing at itself in a mirror.” He sensed that beauty is going to be so crucial for mankind. And, the growing number of beauty salons is a true witness of it. Nowadays, beauty parlour and hair salons are facing fierce competition due to the growing number. In this age of digital marketing, it is good for them to look for custom beauty and hair salon app development solution. With a great salon app design, they can make the communication simpler. If you are looking for the best salon app for android, then choose Sparx IT Solutions as your mobile app development partner. We have built successful app for parking, food, packers and movers, etc. Hence, our team will carry the best beauty salon mobile app development. With a great salon app, the customers can book an appointment in no time. They can track free time slots available in their preferred salon. There is nothing that is more comfortable to book a prior appointment with their favorite hair stylist. The beauty parlour booking app also allows people to scroll multiple hairstyles. They can show the type and details at the time of their appointment. In this way, the hairdresser will choose the best one according to the customer’s face cut. Hairdressers can also pick the popular celebrities photos with the trending haircuts, they can use hashtags and make it viral via social channels. In this way, they make more payment to build an app once, but reap the more cost benefits in longer run. A robust beauty salon online booking system with push notifications stays in touch with the users. This enables the salon owners to share special offers, deals, promotions, discounts. It builds a great platform to generate proactive which leads to more revenue. Further, this assists the salon businesses to manage different alerts for Facebook, iOS, Twitter or Android platforms. Wedding and festivals fall in the list of special events. So, this is the time when ladies are on their beauty queen mode. So, spend some extra bucks and flash best beauty service offers for these specific seasons. Businesses can also share weekly beauty tips, hair care advice, etc. A beauty salon appointment app is certainly incomplete without this feature. This is because this makes a great difference to send reminder regarding regular bookings. In this way, you can also retain customers who might switch to others salon. In a beauty parlour app, it is great to disclose the rates of beauty and hair services. So, add list of rates, description of each service, menus, product categories and other related options. This way, customers will feel convinced regarding the cost before visiting the parlour. Certainly, this is not enough to own a beauty salon booking app. Today’s customer not only wants the best beauty service, but he also aspires to visit a salon with great interiors. So, parlour owners should create a photo gallery of their beauty studio. In the era of cashless payment, salon apps are no exception. They come with integrated payment options by the best mobile app development company for parlour. This connects them with debit, credit cards and e-wallets. These days, both online and offline secure payment options are available to make secure transactions. With this feature, customers get the option to review and rate the salon services. It is possible for them to post their feedback once they make the payment. In this way, other salon service finder can review these recommendations and their way to find a perfect beautician becomes simple. GPS trackers to guide customers to find correct way towards your premises and within the time of appointment. Simple onboarding for the customers so that they can say a goodbye to call and physical visit. QR code for the users to download the app and attain their desired services. GEO and auto PUSH notifications/messaging to lure customers especially when they are around the salon/parlour. The salons can handle account and inventory management. 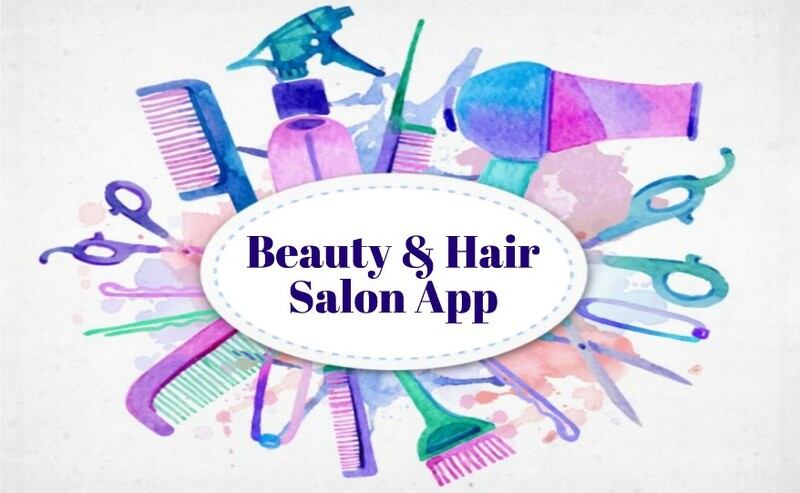 Being a salon business person, what are you missing without a mobile app for beauty solutions? Some customers will not prefer to subscribe your regular service just because you do not have an app. In this hustle bustle life, try to provide them online convenience if you want to retain them. An application keeps you informed regarding your schedules appointment. This allows a store owner to manage resources accordingly. Without an app, sometimes your all resources are working and sometimes all are sitting idle. Definitely, more people will recognize you with an app. Without an app, it is quite difficult to maintain a face value. Hence, it is the win-win situation both for customers and business owners. Customers save their time and efforts while salon owners reap more benefits by utilizing all resources. It is not about the service, it is all about how they felt with your service. So, give them the best salon experience with an app so that they keep returning back.